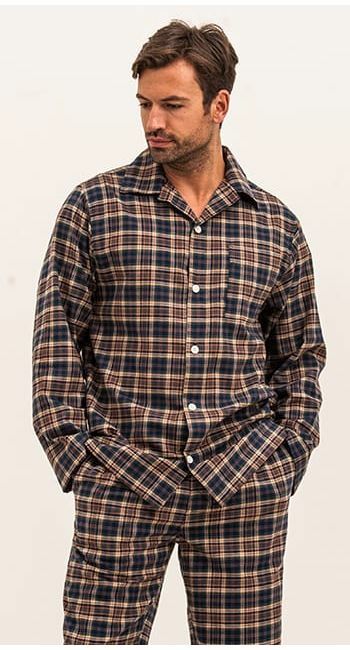 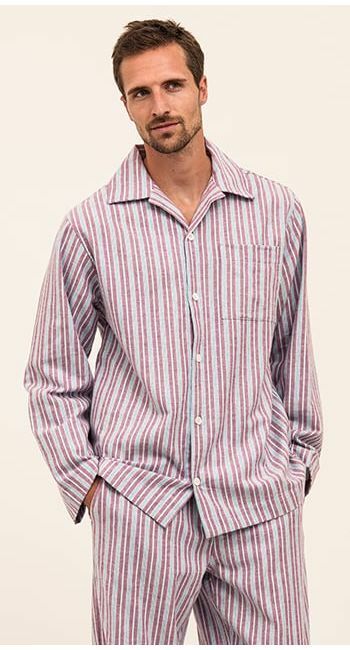 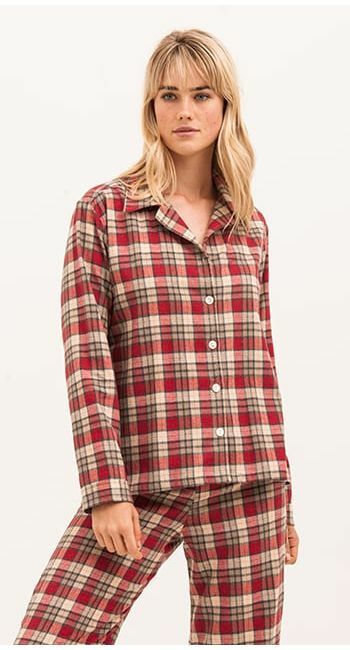 Men's traditional brushed cotton pyjamas in a cosy red and biscuit check. 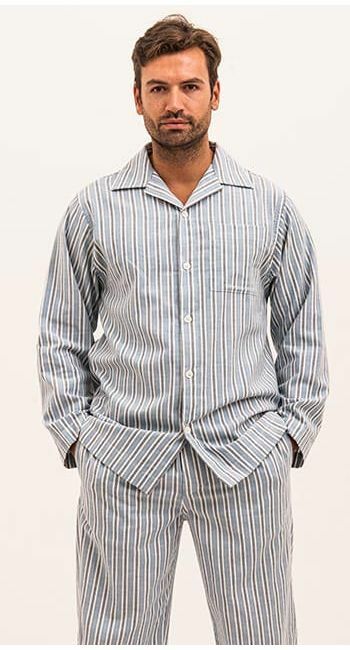 Available in regular and tall leg lengths. 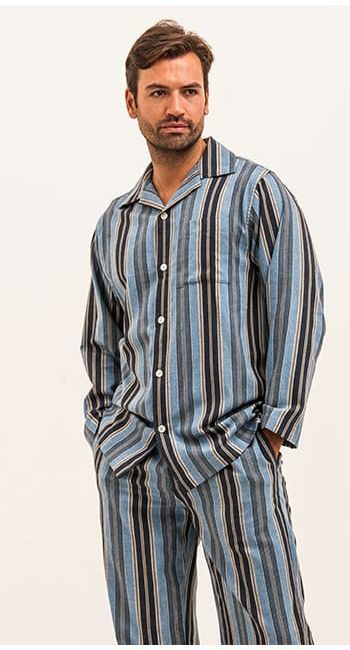 This is one of our fabrics that falls into the women's and children's collections for those who are looking for matching family pyjamas.